WOW!! We were eyes wide open walking into Villa Sari, in our opinion this is the ultimate “island-beachy” inspired villa. Villa Sari has been designed to make you feel like at home with the extra touches that you only find in a private villa. 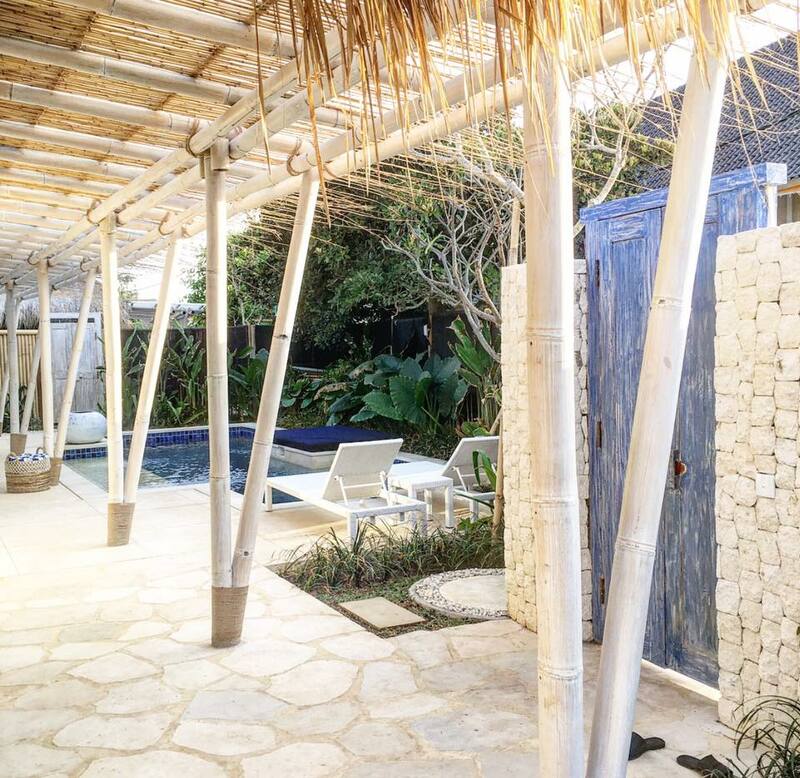 Villa Sari, located in Sandy Bay, features 2 master suites each with a divine outdoor bathroom plus a kids bunk room (inter-connecting door to one of the master suites) which goes 3 high making for plenty of room for two families and comfortably sleeping 10 in total. 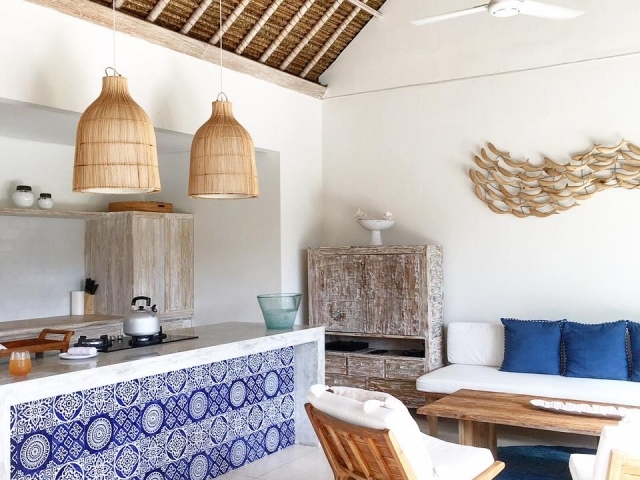 Exquisite linen & soft furnishings plus interior design aspects with chilled neutral tones have been thoughtfully planned to create a cool island vibe. Indoor outdoor living is seamless with wide stack back doors in every room opening onto the pool. The pool has multiple chill out zones of its own with wide steps that double as a the perfect spot for a G n T, pool lounges and a gorgeous day bed set in garden at the pool edge. The Villa Sari experience is completed with 4 attentive staff who service the villa and your room daily plus also serve a delicious breakfast in the outdoor dining area. On our first day we ordered lunch in from Sandy Bay Beach Club (full menu is available for in villa dining) – the Quinoa and roasted vege salad with a Passionata Juice (passion fruit, apple & lime) was a hit! And then…. 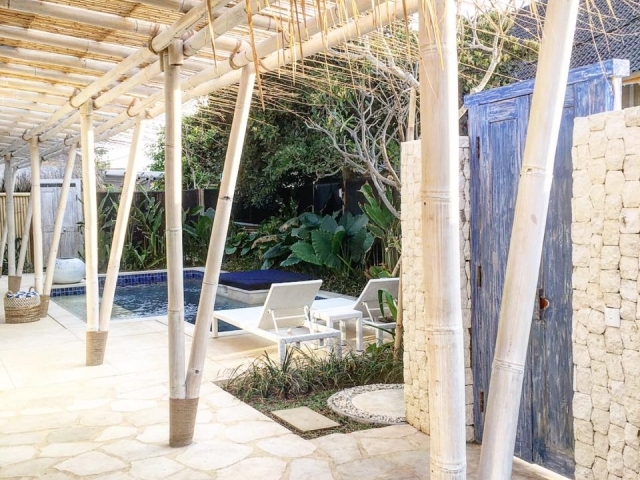 next door is Villa Santai giving you the option of an additional 2 bedrooms, 2 bathrooms with an inter connecting gate between the two villas and sleeping up to 14 people. 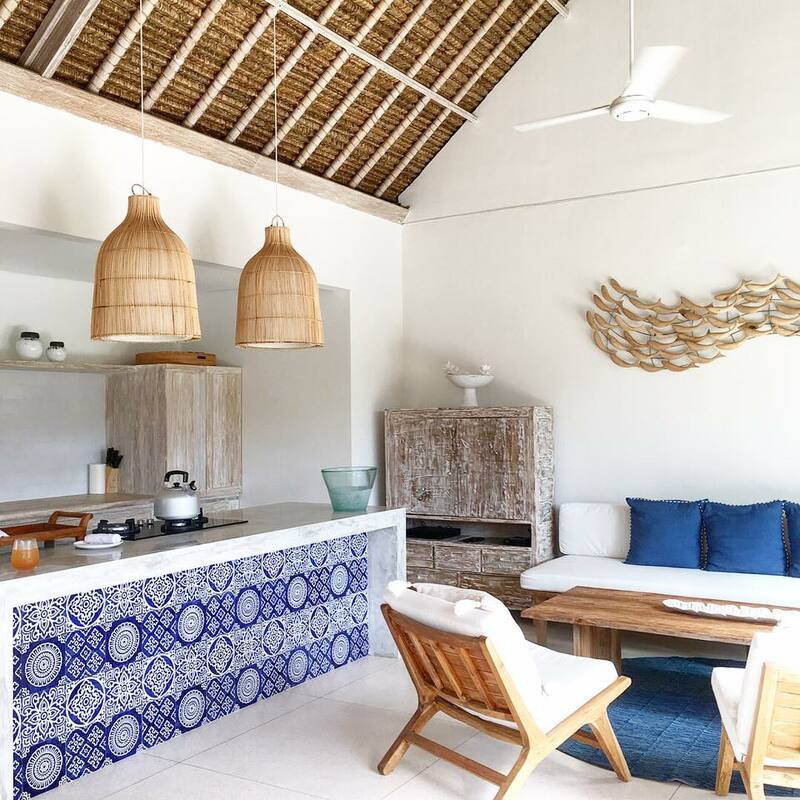 These are two gorgeous villas that will soothe your soul and set the scene for your Nusa Lembongan holiday.